If you've been in an accident that involved an impaired driver, help is available to get you property and medical compensation. Following are some steps you can take to make sure you don't add more stress onto an already difficult situation. Each day, 28 people in the United States die as a result of accidents involving an alcohol-influenced driver, according to the Centers for Disease Control and Prevention. "In 2015, nearly 1.1 million drivers were arrested for driving under the influence of alcohol or narcotics," the CDC says. "That’s 1 percent of the 111 million self-reported episodes of alcohol-impaired driving among U.S. adults each year." On top of the thousands of injuries and the emotional devastation caused by drunk driving, every year the cost of these crashes is more than $44 billion. Take pictures of the scene of the crash and call the police right away. The proper police paperwork is often important for insurance claims and civil lawsuits. Without it, you may not be successful in getting compensation for the damage you've sustained to property and health. 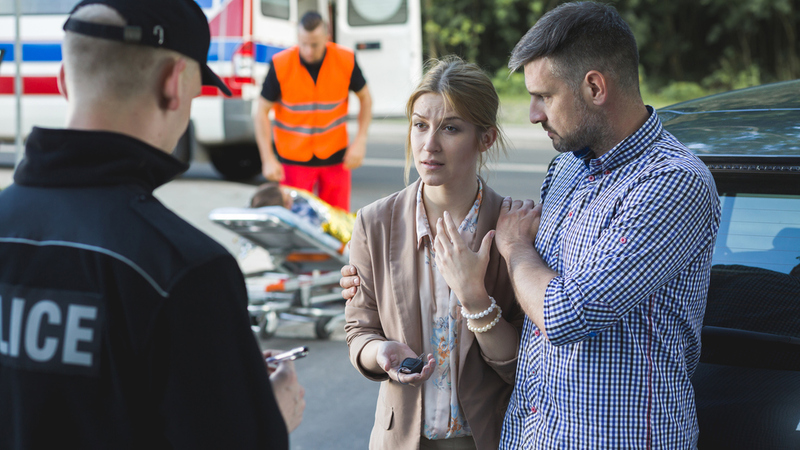 If you were hit or got into a crash with someone under the influence of alcohol or drugs, first go to the emergency room. Many people don't realize they've been injured in an accident because adrenaline and endorphins in their system have profound effects on how they feel pain or even perceive time passing. In fact, after serious accidents "some of the chemicals (i.e., endorphins) you thereby secrete function as an analgesic, so the pain of any injury (to your body or psyche) is experienced with far less intensity," according to Psychology Today. Even if you don't feel injured, go to the hospital to be safe. Even though there is a good chance you can organize a civil suit against a driver who hit you under the influence, you'll want to get your insurance claims in order. Your insurance company and the other driver's insurance company are the most likely sources for claim compensation, although you can also file a lawsuit. Get the other driver's insurance information if you can, and call your insurance company. If you've been involved in a hit and run, that information won't be available, of course, but the police will work to find the perpetrator. Having a legal advocate in your corner is the best way to protect yourself and increase your chances of getting a fair settlement in insurance claims processes or civil suits. Sometimes, a drunk driver won't have insurance. That can leave you to bear the brunt of the legal and property damage cost unless you pursue a civil suit. Fortunately, juries may be sympathetic to victims of drug- or alcohol-related accidents. You can reasonably expect that a well-documented case of this type is already in a position to provide you with fair compensation. The facts of your case are unique and important to the process, so contact the experienced legal experts at Thomas J Henry Law to discuss your individual situation and ensure you’re compensated fairly.